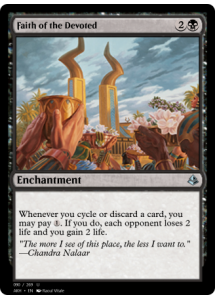 Whenever you cycle or discard a card, you may pay . If you do, each opponent loses 2 life and you gain 2 life. "The more I see of this place, the less I want to."